Pregnancy can be a daunting time for any woman with each pregnancy being different and new hurdles may crop up throughout. So it’s important to be as prepared as you can be both physically, emotionally and mentally, in order to deal with everything that may come as best you can. Here are a few things that I commonly tell my mums when it comes to physical well being. I can’t stress enough how beneficial it is for mum to stay active during pregnancy as it helps to prepare for the demands of carrying a child and for labour. A woman’s body goes through so many changes it’s good to be ready for these challenges. Exercise can help women through pregnancy not just physically but emotionally too, which must not be taken lightly. So if you’re active, fantastic stay that way. There may be days when you don’t feel up to doing much other than eat or sleep, please listen to what your body is telling you. It’s telling you for a reason. The key is to always listen to your body and adapt workouts to suit. However, do not start something new if your body is not used to it as this can create problems and if there are any concerns always consult your health practitioner. 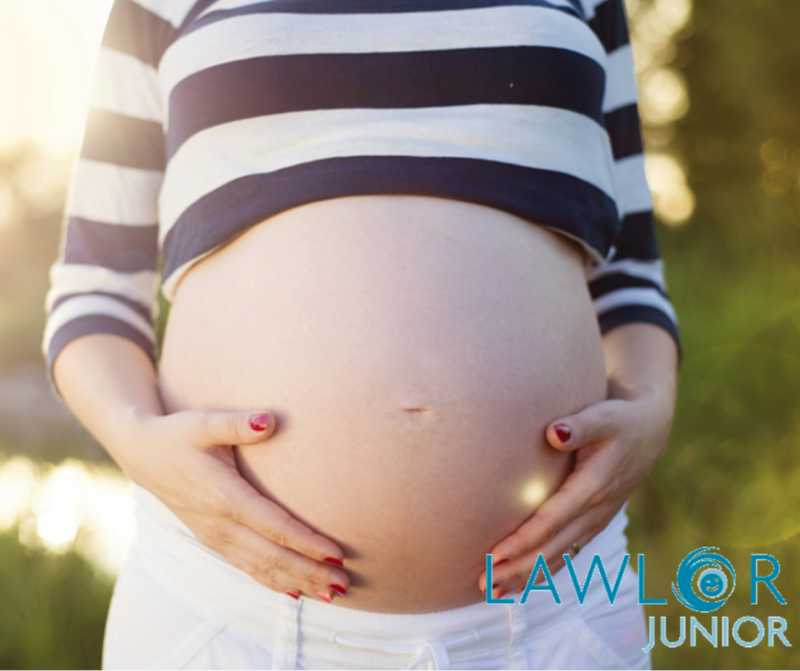 If you would like to book in for a Chiropractic Consultation for a pregnancy related issue please contact the clinic today on 0578678904 or book now. Lawlor Clinic as a data controller is aware of its obligations under the General Data Protection Regulation (GDPR). The Clinic is committed to protecting the privacy and security of your personal information. This privacy notice summarises, in line with GDPR, how we collect and use personal data about you during and after your time as a patient of this clinic. It also sets out how long we keep it for and other relevant information about your data. It applies to current and former patients. Please contact the Clinic on info@lawlorclinic.ie for full privacy terms and conditions or request a copy at reception. We need to collect personal information about you and your health, in order to provide you with the best possible treatment. Your requesting treatment and our agreement to provide that care constitutes a contract. You can, of course, refuse to provide the information, but if you were to do that we would not be able to provide treatment. Your paper file is stored in locked filing cabinets, the keys are locked in a safe, and the offices are always locked and alarmed outside working hours. Paper records are never removed from the Clinic premises. Your electronic file is stored “in the cloud” using encrypted practice management software. We have a contract with this provider which includes a written declaration that they are fully compliant with the General Data Protection Regulations. Access to this data is password protected. Email appointment reminders are set up for each patient, but patients can opt out of this service if they wish. We do not use SMS or email marketing communications. Occasionally we will need to contact you in writing or provide a medical or solicitor report on your behalf. Such letters are saved securely on to our office computers, which are password protected and the offices are always locked and alarmed out of working hours. – Your practitioner(s) in order that they can provide you with treatment. Self-employed Associates and Therapists have a signed contract with the Clinic which includes obligation to maintain confidentiality of information relating to clients. – Our clinic manager and reception staff who have signed contracts of employment including strict clauses re data confidentiality. Should your personal data that we control be lost, stolen or otherwise breached, where this constitutes a high risk to your rights and freedoms, we will contact you to explain to you the nature of the breach and the steps we are taking to deal with it. PLEASE SPEAK WITH OUR RECEPTIONIST IF YOU DO NOT CONSENT TO RECEIVING EMAIL APPOINTMENT REMINDERS / IMPORTANT CLINIC UPDATES. WE WILL MAKE SURE YOUR RECORD IS UPDATED TO REFLECT YOUR CONSENT AND PLEASE BE AWARE THAT YOU CAN OPT OUT OF THIS SERVICE AT ANY TME. WE WILL NOT SEND YOU MARKETING COMMUNICATIONS. It has been shown that 80% of the population will suffer from an episode of back pain during their lifetime. 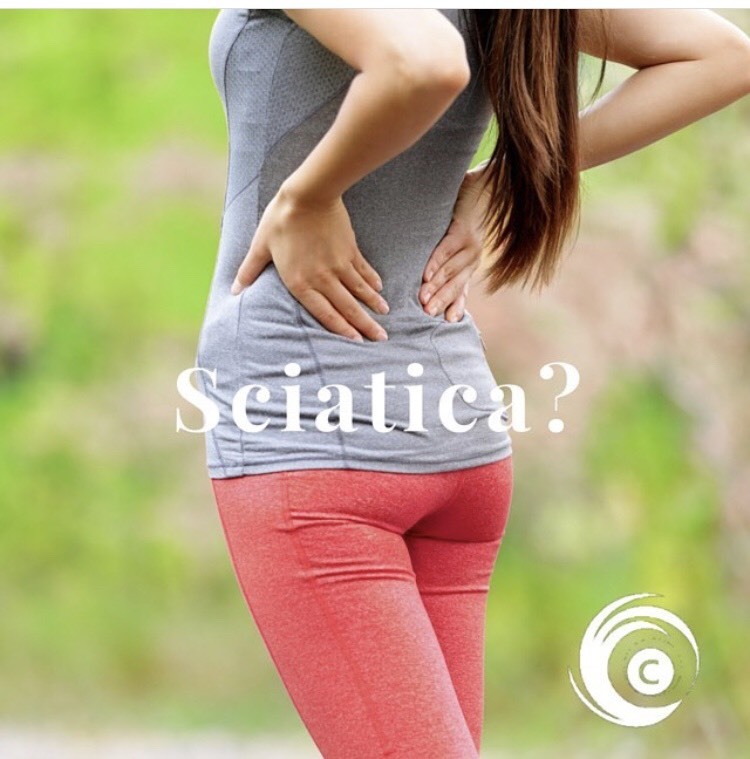 A smaller number will also suffer Sciatica, a referral into the leg which can be caused by a disc bulge, bony narrowing of the exit canal or entrapment of the nerve along its path down the leg, for example at the piriformis muscle. Walking: It is important that you keep as active as possible, so we recommend short frequent walks for our patients who suffer from back pain or sciatica. Depending on the severity of the leg symptoms we also ask the patient to shorten their stride so this will put less pressure on the sciatic nerve particularly during the swinging of the leg forward. 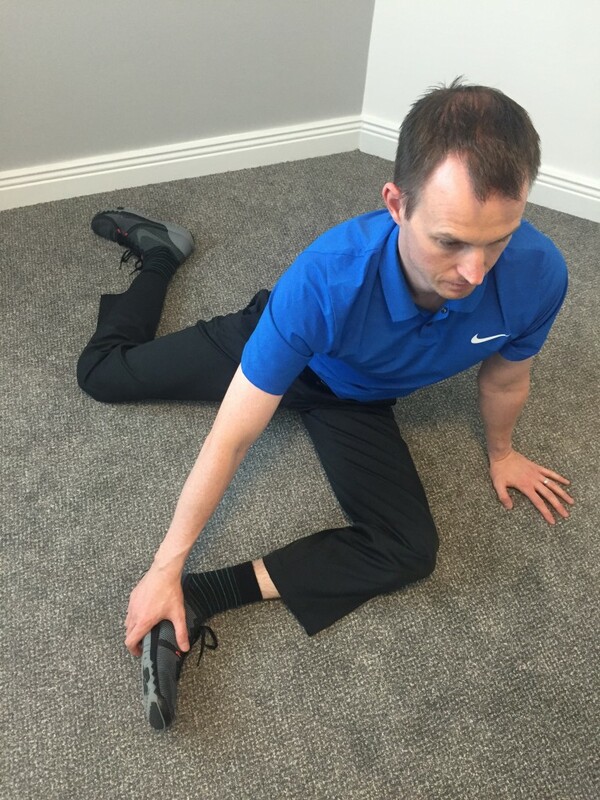 McKenzie Extension: This is one of the few positions that patients or athletes will feel any relief from their leg pain, The extension exercise has been shown to centralise the disc material taking pressure off the nerve. You should feel the leg pain reduce during the hold, the pain may also localise to the low back or buttock area. Cat & Camel: Spinal flexibility and control is important for the lumbar spine. The Cat & Camel exercise is a great exercise that we give to every patient. If you struggle with either of the movements then we suggest you use a mirror for feedback. Nerve Flossing: This exercise will help with leg pain and also improve the sliding of the sciatic nerve from the low back all the way in the foot. With any of the exercises it is important to work within a pain free range of motion, if you see an increase in your symptoms then please stop the exercise and consult your local health professional or contact us today for a consultation. Plantar fasciitis is one of those phrases that gets thrown around a lot in conversations. But do you know what it actually means? What is the plantar fascia, what causes irritation to it, and how can you prevent and treat the cause of the problem using Active Release Techniques? The plantar fascia is not a muscle or tendon, it is actually a connective tissue structure that supports the bottom of the foot. It runs from the heel bone to the toes and lies on top of the deeper muscles of the foot. But it is not the plantar fascia on its own that causes the problem. The fascia works in conjunction with the flexor digitorum brevis and quadratus plantae muscles, both are flexors of the toes. An irritation and inflammation to the previously mentioned tissues and muscles, to state it very basically! But what causes the irritation? Biomechanical issues in the foot and ankle, tightness or damage in muscles of the feet or calf, sudden increase in activity that is too much too soon, some even say too much sitting around (underactivity) can cause the problem. But when you do get it, you want it to go away as fast a possible because it can be very painful! How can ART® help plantar fasciitis? Active Release Techniques ART® is a hands on technique for helping to restore normal function to the soft tissue. So release of the plantar fascia and other contributing muscles in the foot, might be uncomfortable but the results will be noticeable within 3-4 treatments. Along with ART®, manipulation of the joints in the foot using Chiropractic techniques can help to restore normal biomechanics to help prevent this from recurring in the future. To help speed up the healing process we commonly use Laser Therapy and you will always be given exercises and stretches to do at home. If you think you might have plantar fasciitis, don’t keep suffering, give us a call today to see if we can help you get on the path to healing! 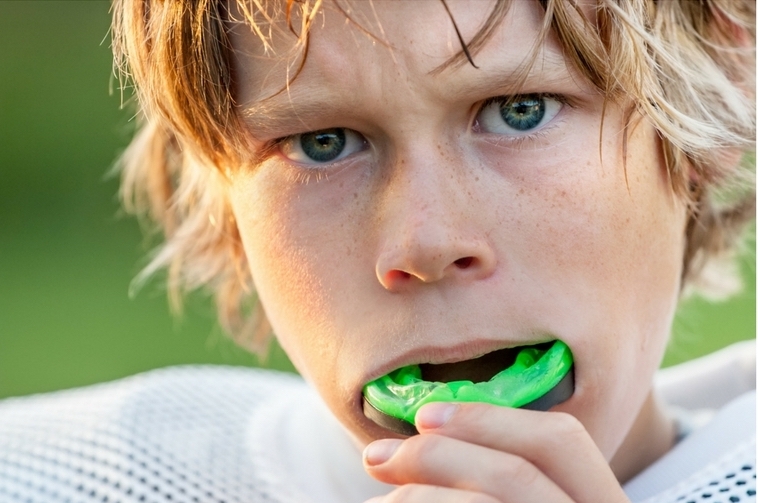 In the last blog article we covered a number of different topics related to concussion and its management. We will focus on nutrition and sleep in this article. Creatine helps to increase water retention in the body which will in turn increase fluid levels supporting the brain during healing. The majority of post concussion patients will need to increase their number of hours of sleep as this is essential for the brain to recovery from injury. It is also important to decrease the time spent on mobile devices as the blue light from the screen can have an effect on melatonin levels which help to regulate sleep cycles. Most devices and computer now come with blue light filter or apps can be downloaded if not included on your phone, tablet or computer. In the sporting world concussions are one of the most commonly seen injuries, particularly in impact sports. Concussions can also happen in the general population. They are one of the most important injuries to recognise quickly. Appropriate treatment and rehabilitation are essential, because concussion really is a mild form of traumatic brain injury. Just one concussion can increase the risk of long term damage to the brain and can increase the risk of getting another concussion. This is why it is so important to recognise them and get treatment. Not only can you injure the brain when you have a concussion, there can also be damage to the spine and the neck musculature and ligaments. Post-Concussion syndrome is what can occur after the initial injury and can last in some cases up to six months. Symptoms include: headache, dizziness, fatigue, cognitive difficulties (difficulty remembering things or focusing), and irritability, with some of these symptoms being caused by spasms in the musculature of the head and neck. One common muscle involved in head and neck injuries is the Rectus Capitis Posterior Minor. It attaches on the first vertebrae of the neck and occiput, and then has connections into the dura mater, one of the layers of covering over the brain. When these structures are injured or not functioning properly, it can cause pulling on the dura mater around the brain leading to increased headaches. How Can ART ® help? Active Release Techniques® are used to help diagnose and find the injured area and treat it, with the goals of restoring the normal movement of the muscle and/or joint, thereby speeding up the rate of healing! And in the case of this muscle, helping to decrease headaches. Along with ART ® we have numerous other techniques we use in the clinic to help you get back quickly to enjoying your activities and your life! 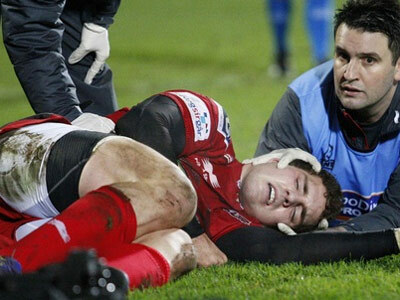 Contact us today to see if we can help with your recovery from a concussion! Dizziness: How Can We Help? Dizziness can be a little bit complicated. It can be caused by a number of different reasons, but you probably never thought that your neck could be one of them!? Well Cervicogenic vertigo is exactly that, dizziness that is theorised to be caused from dysfunctional or lack of movement in the neck. 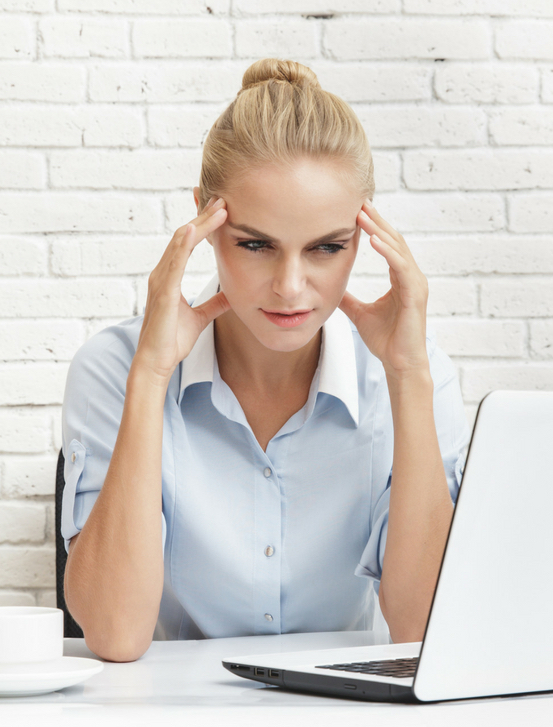 How can my neck contribute to dizziness? Typically this specific type of dizziness is seen in people after an injury to the head and neck such as concussion or whiplash. But that is not always the case, sometimes it is also seen in people with severe muscle spasm in the neck or loss of movement in the neck. Proprioception is your body’s ability to perceive where it is in space. Tricky to understand, but basically think about it as your ability to stay on balance. Proprioceptive receptors in the neck can be disrupted through concussion or whiplash injury, thus relaying incorrect information back to the brain about where the body is, causing the sensation of dizziness or the sensation of being pulled to one side, or the room spinning. Along with the dizziness people with this type of vertigo typically have pain and limited range of motion in the head and neck. The difference between other types of vertigo and this one are that the dizziness type symptoms you experience are made worse by holding specific positions of the head and neck. Moving the head doesn’t usually cause the symptoms to flare up but keeping the head in a certain position for a longer time does. This type of vertigo or dizziness that is caused from injury to or lack of movement in the neck typically responds well to chiropractic care and physiotherapy. Using manual therapy such as manipulation, mobilisation, and Active Release Techniques (ART®) to release the muscles and improve range of motion has been shown to help in these cases. Also specific exercises for the neck and exercises to improve proprioception can be beneficial as well. As with any condition it is important to have a thorough examination to figure out the true cause of the problem. Give us a call today to see if we can help with your problem! How Strong are your Feet? How strong do you think your feet are? Our feet play an essential role in how we transfer our body weight when we move, provide vital information to our brains for position awareness and sometimes are even called upon to help out our weak cores. We need to look after them and have them strong enough to meet these many demands. 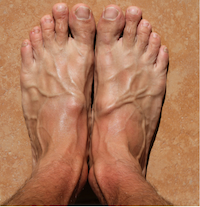 Modern foot wear, orthotics and lack of time walking around bare foot all contribute to weak intrinsic foot muscles and it is these which we need to strengthen. If you would like to book an appointment please contact us today for a quick chat to see how we can help! What is Functional Range Conditioning (FRC®)? The Functional Range Conditioning concepts can be used on clients of all ages and all abilities and has proved to be highly successively with patients of the Lawlor Clinic. 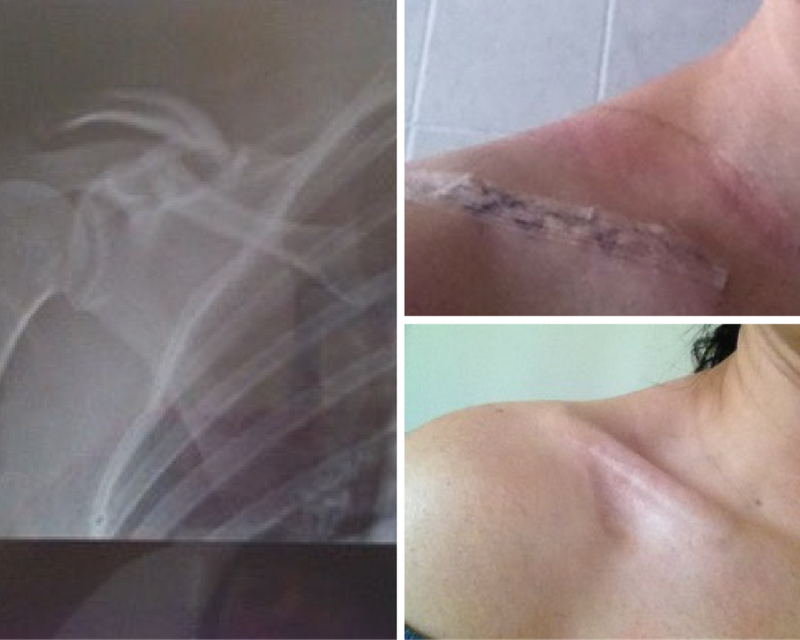 Scar tissue can be detrimental to body mechanics if not addressed as soon as possible. It can alter proper movement patterns and generate pain and dysfunction in the body. It can also predispose the area to future injury. The aim of therapy is to improve tissue texture, flexibility, local blood supply and drainage. Therefore the earlier and more regularly that a scar is treated the better. How Effective Can Treatment be? If you would like to book an appointment please contact us today.